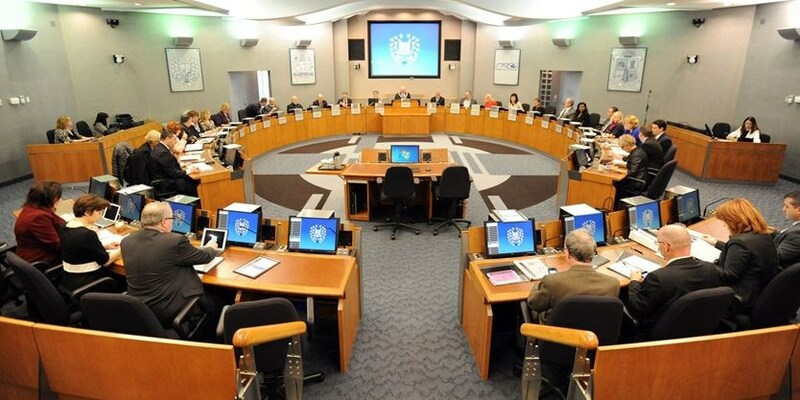 Peel Region council members have agreed to form a committee to review their personal expenses policy. Mississauga Coun. Carolyn Parrish made the suggestion at the May 25 council meeting in light of recent Metroland Media articles about how discretionary spending allowances are used and expenditures approved. “Let’s just tighten it up,” suggested Parrish, who also volunteered to chair the committee. Other council members met her suggestion with enthusiasm. There were plenty of volunteers among councillors to sit on the committee and be a part of the review process. Most constituents likely never get a chance to see details about how councillors are spending the taxpayer-funded expense accounts or how much they are spending, Parrish remarked. Regional council expense account statements and reports are posted online. Similar financial statements are also posted on the city and town websites for councillor expense claims made at those levels. Mississauga Coun. Nando Iannicca, who supported formation of a committee, said he hoped the review would take a holistic look at the policy. He added council as a whole has spent less in this current term of office than five Toronto councillors and he’d like to see some sort of per capita spending comparisons as part of this process.